Are UnitedHosting GDPR compliant or do UnitedHosting have measures in place to become GDPR compliant in time for May when GDPR comes into effect? 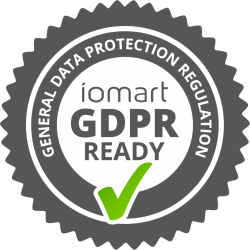 UnitedHosting is a company within the Iomart PLC group of companies and as such our compliance is part of the larger iomart project. GDPR compliance cannot be “certified” since there is no certification process as such. Compliance with data protection laws and regulations is not a binary exercise, where an organisation is either "compliant" or "non-compliant". As you will be aware, the GDPR is an EU-wide set of regulations, which sets out the respective responsibilities of Controllers and Processors in relation to Personal Data and Special Categories of Personal Data (broadly being Sensitive Personal Data under the current Data Protection Act 1998). If a client decides to maintain Personal Data / Special Categories of Personal Data on their hosted iomart environment then they will need to ensure that they are complying with their responsibilities as Controllers (both under the current Data Protection Act 1998, and under the GDPR once it applies). We would encourage our clients to review this document to gain an insight into where they are with the process..
A handy toolkit for you to follow to ensure you're meeting your obligations under GDPR. A high level overview of GDPR and how it applies to our customers organisations. A quick infographic guide to what you need to know about the General Data Protection Regulation which will come into force in May 2018. Our GDPR blog discusses topics ranging from 10 frequently asked questions to the things you need to do to be compliant. For a more detailed look at GDPR, check out our white paper.